The Braun CruZer 6 Body Shaver is a 2-in-1 device, easily changed from trimming to shaving at the touch of a button. It is suitable for all body areas including genital, but not recommended for face or scalp. The device has wet & dry technology, and can be safely used in bath or shower. Perfect for even sensitive skin. Wet Shave - 5 integrated Gillette Fusion blades to give a smooth, clean shave. The 5 blades are specially aligned, spaced closely together to minimise pressure and offer optimum results whilst minimizing skin irritation. Combination Mode - Allows for trimming and shaving of long hair in one stroke for quick, hassle-free results. Ergonomic Design - Specially designed to allow comfortable shaving of all body parts. The device must be fully charged prior to first use (this takes approximately 14 hours to give up to 50 minutes use): Plug charger into mains electrical outlet and place the cruZer body onto it. The charging light will glow whilst the appliance is being charged and go off when complete. The light blinks intermittently to show that the battery is holding its full capacity. The manufacturer recommends that batteries are discharged completely at 6 month intervals to maintain maximum battery performance and extend their life. ​Contour Trimming/Against the Skin - Use the trimmer alone for trimming precise lines. If you wish, you can apply shaving foam, soap or gel, then stretch your skin and move the trimmer against the direction of hair growth. Using Trimming Combs - these should be used on dry hair only, removing hairs whenever they build up in front of the comb. The trimming combs allow for cutting at either 3mm or 8mm long. We recommend that you start by practicing with the long trimming comb, gently moving against the direction of hair growth with the comb tips pointing forward. Sensitive Areas - Use the sensitive comb attachment, and taking special care to stretch skin taut, gently move the device against the direction of hair growth with the comb tips pointing forwards. Shave - To shave only, press the « » button to extend the slider as far as it will go, then place against the stretched skin, ensuring good contact and without applying too much pressure, gently slide against the direction of hair growth. It is recommended to use shaving foam or gel for this function. Combishave - Ideal for areas such as chest and back. Press the « » button to extend the slider. Ideally use with shaving foam or gel and ensure that both the trimer and shaving parts are in contact with the skin. First the trimmer raises and cuts the hairs, then the shaving system removes the remainder to leave smooth, closely shaved skin. For sensitive areas, use the sensitive attachment. The Cruzer 6 Body Shaver is not designed to be used for use on the face or scalp. The Cruzer Body must be cleaned after each use by Removing trimming combs and brushing trimmer and comb thoroughly. If you have used shaving gel or foam, rinse under hot, running water, shake well and leave to dry. 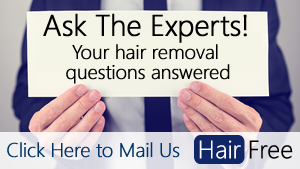 It is recommend that a drop of light machine oil is applied to the trimmer on a weekly basis. When the green indicator stripe becomes discoloured, the cartridge needs to be replaced, using Gillette Fusion cartridges only. ​The Braun Cruzer 6 Body Shaver has a star rating on Amazon of 4.1 out of 5 from 165 customer reviews. Of these, 75% rated the product at either 4 or 5 stars. Review comments range from "hated it" to "love, love, love it" but on the whole, the reviews for this product were positive.